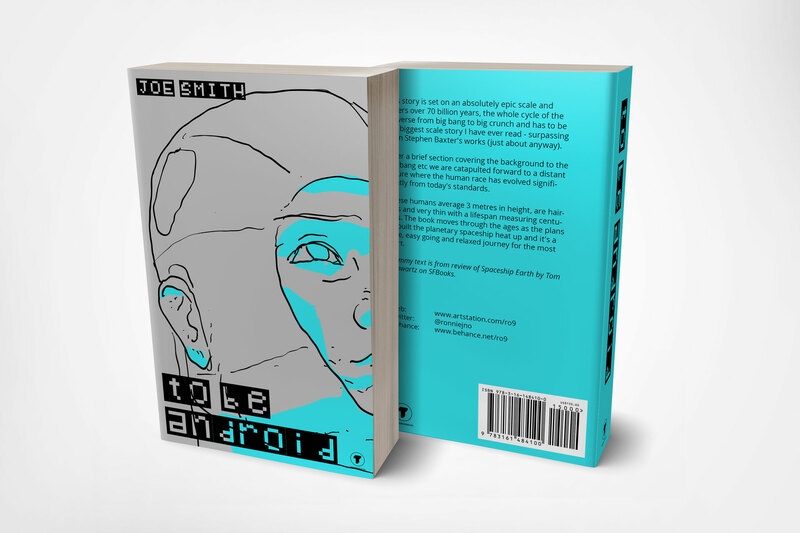 The example shows a cover with the author name, title, and a logo. Minimalistic design. The illustration of the Android is painted digitally by me.